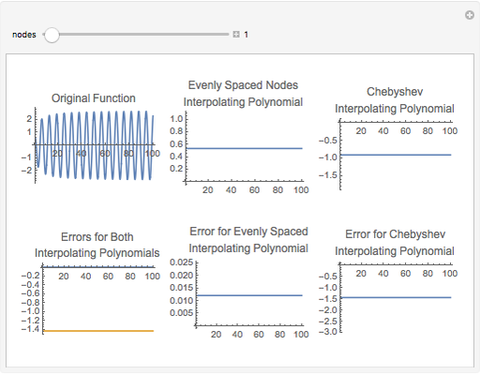 This Demonstration compares the differences between evenly spaced nodes and Chebyshev nodes for an interpolation polynomial. This Demonstration not only shows the exact interpolation polynomials for both techniques but also shows the interpolation error with the original function. Adam Hood "Comparing Errors for Chebyshev Interpolation"